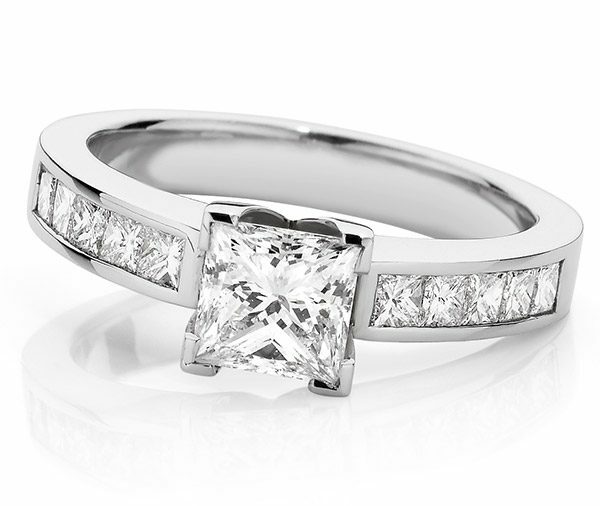 Princess cut diamond is set in four corner claws with channel set princess cut diamonds in the shoulders. Model image features 1.00ct princess cut diamond . 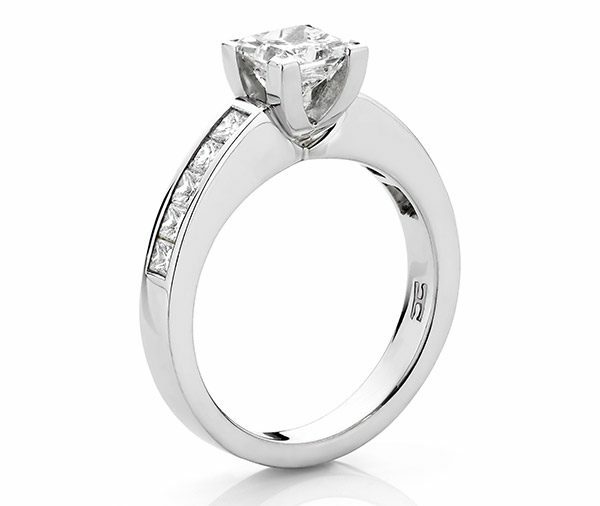 Available in platinum, 18ct white, yellow or rose gold or any other precious metal combination.